Broadband speeds in the UK are falling at peak times according to a new report, with 7pm to 9pm seeing the biggest drops. This is according to uSwitch which is claiming it has done 2 million speed tests across the UK and found that the national average speed of 9.6Mbps is only being reached when you use the internet at three in the morning. In its tests it was found that Weston-Super-Mare in Somerset had speeds that dropped by two-thirds at peak times, from 9.5Mbps to 3.4Mbps. Wadebridge in Cornwall was another place in the UK to suffer from speed fluctuation, with an average of 4.1Mbps off peak changing to 2.1Mbps in the evening. BT has criticised uSwitch in the past for its research and we are sure they will have a thing to say about the latest study, but the good news is that broadband company is pushing its superfast broadband more than ever before and is also claiming that it is matching Virgin Media's 100Mbps fibre broadband lines and is also adding a higher data sending speed. 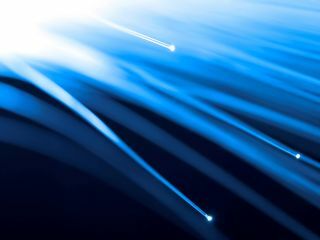 This is according to John Petter, managing director of BT's consumer division, who said about BT's broadband upgrades: "We are seeing very encouraging takeup of our fibre-based broadband and we now have more than 300,000 customers. "BT Infinity Option 3 matches the top speed currently available in the UK and beats the upload speed offered by Virgin Media's best offering." 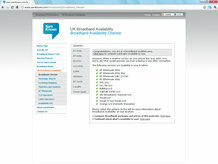 BT is claiming that its upload speed is up to 50 percent faster at 15Mbps, compared to Virgin's 10Mbps. If uSwitch is right, though you may well have to get up at 3am to take advantage of this speed surge or you could read (shameless plug) TechRadar's How To Speed Up Your Broadband guide.